ATLANTIS THEATRICAL ENTERTAINMENT GROUP gives a good break to a theater actress to play an important role in their newest production, “Waitress, The Musical”. 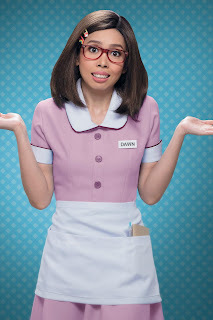 This is Maronne Cruz as Dawn, joining Bituin Escalante who will play Becky in this Broadway hit. Scored by Grammy nominee Sara Bareilles, and based on the 2007 movie of the same name, “Waitress” tells the story of expert baker Jenna who is disillusioned with her life and tries to bounce back through the simple magic of baking. Who will play Jenny has yet to be announced. Accompanied by her friends Dawn and Becky, Jenna finds the strength and courage to rebuild her own life. 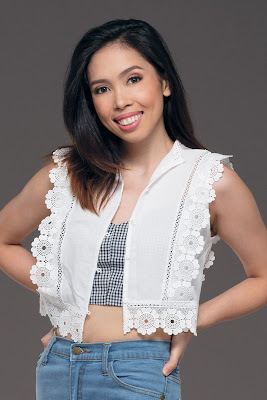 No stranger to musical theatre, Maronne has appeared in numerous productions including “Hair” (Jeanie), “Sa Wakas” (Gabbi), “Ako Si Josephine” (Josephine), “Godspell” (Learn Your Lessons Well soloist), “Dog Sees God” (Marcy), “Horse & His Boy” (Sallowpad the Raven), “Sandosenang Sapatos” (Red), and “Cinderella” (Stepsister Joy). She has also appeared in the indie film “Mariquina” as Monet.. She also runs an advocacy named A Hero’s Call, that encourages social awareness and action through geek culture. Catch Maronne as Dawn in “Waitress” when it opens on November 9 at the Carlos P. Romulo Auditorium, RCBC Plaza, Makati. Tickets will be available soon at TicketWorld Manila.